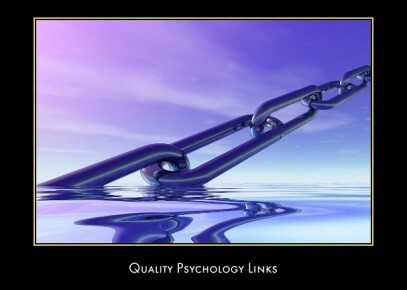 Introducing a carefully chosen collection of quality psychology links. There are countless psychology related links on the Internet but only the very best make it on to this page. Interested In Forensic Psychology? Check out my other website. What is forensic psychology?, criminal profiling, the study and practice of forensic psychology. These are just some of the many topics on offer at this free and comprehensive information resource. You can visit the All About Forensic Psychology website via the following link. Academic Info is an online education resource center with extensive subject guides. Founded in 1998 by Mike Madin, a librarian coordinator, it is now maintained by multiple contributors. Many thanks to Julia Thomas for bringing this psychology link to our attention. Click Here To Visit The Psychology Degrees & Resources Page. 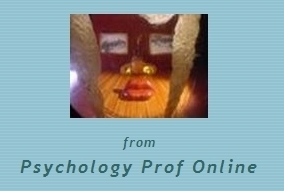 AllPsych Online is one of the largest and most comprehensive psychology websites on the Internet. Inside the site you'll find over over 920 individual, cross referenced, web pages and psychology links, as well as an estimated 3000 pages of printed material. Click Here To Visit AllPsych Online. Based in Washington, DC, the American Psychological Association (APA) is a scientific and professional organization that represents psychology in the United States. With 148,000 members, APA is the largest association of psychologists worldwide. As psychology links go, the APA website is a must visit and bookmark site for anybody studying and practicing psychology in the USA. Click Here To Visit The American Psychological Association Website. Outstanding resource maintained by Douglas Degelman, Ph.D. Professor of Psychology at Vanguard University of Southern California. 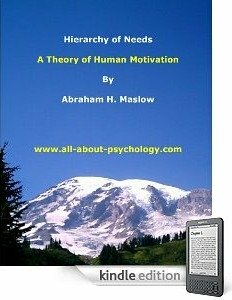 Features over 2000 categorized psychology links. Click Here To Visit AmoebaWeb. The Association for Psychological Science (previously the American Psychological Society) is a nonprofit organization dedicated to the advancement of scientific psychology and its representation at the national and international level. The Association's mission is to promote, protect, and advance the interests of scientifically oriented psychology in research, application, teaching, and the improvement of human welfare. Click Here To Visit The Association for Psychological Science Website. A must visit and bookmark site for anybody studying and practicing psychology in the UK. Click Here To Visit The British Psychological Society Website. Unique forum that includes a very active and engaging psychology section. Click Here To Visit The Psychology Forum. (Many thanks to Dawn for letting us know about the Captain Cynic forums). Access quality information on a wide range of career fields in psychology. Gain valuable insights from psychology professionals. Learn about psychology internships opportunites. Very well organised collection of psychology links and resources. Click Here To Visit ClickPsych. College Classmate Connection is a free educational resource designed to help students find the motivation needed to enrich their mind and educational experience. The site offers many resources including a very useful weekly blog which provides information on everything from financial aid to how to conduct research for papers. Click Here To Visit College Classmate Connection. (Many thanks to Susan Hardin for letting me know about this excellent student resource). Great site specialising in psychology related products from fun Freud finger puppets through to depth perception testing equipment. This eclectic mix of quality psychology-related merchandise is presented within four broad categories i.e., psychology fun/gifts, psychology equipment for teaching and research, dvd movies with a psychological theme and psychology posters/prints. Click Here To Check Out Some Cool Psychology Stuff. Intute is a free online service providing you with access to the very best Web resources for education and research. The service is created by a network of UK universities and partners. Subject specialists select and evaluate the websites and psychology links and write high quality descriptions of the resources highlighted. Each resource in the comprehensive psychology section has been evaluated and categorised using the APA PsycINFO coding scheme. Click Here To Visit The Intute Psychology Section. Online Classroom (OCTV) is an educational video company specialising in audio visual resources for A-Level/degree students studying a range of subjects including psychology. The OCTV psychology resources are very well regarded and are used by about 75% of UK secondary schools and around 1,700 psychology teachers have registered with the website. Click Here to find out more about these excellent psychology resources. Psi Chi is the National Honor Society in Psychology, founded in 1929 for the purposes of encouraging, stimulating, and maintaining excellence in scholarship, and advancing the science of psychology. The site contains some wonderful articles, including The Psychology of Evil by Philip Zimbardo. Click Here To Visit The Psi Chi Website. Part of Dr. Gareth Furber's excellent PsychSplash network (see listing below), PsychAntenna allows you to browse and search for psychology-related websites, blogs, podcasts and journals that utilize RSS (Really Simple Syndication) to broadcast their content. Click Here To Visit PsychAntenna. Regularly maintained by Dr. Grohol and a staff of contributing editors, Psych Central is one of the Net's best information sources for mental health information, as well as providing annotated guides to the most useful websites, newsgroups, and mailing lists online today in mental health, psychology, social work, and psychiatry. Click Here To Visit Psych Central. PsychFutures is a free open network designed for individuals at various stages of their psychology career, from A-Level to degree-level to professionals. Among the many excellent resources available here you'll find advice on exam preparation and applying to university, peer-to-peer advice about postgraduate psychology and a section devoted to psychology careers. 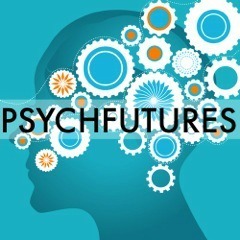 Click Here To Visit The PsychFutures Website. 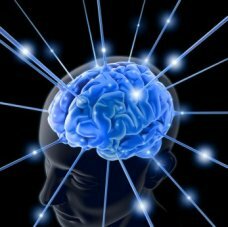 Psychlotron is a free resource sharing site for teachers and lecturers. The resources are primarily aimed at those teaching the British AS and A2 level Psychology specifications although they will be useful to anyone studying or teaching introductory courses in Psychology. You can access this very useful website by clicking Here. The aim of Psychology Page is to provide a concise introduction in a broad range of psychological topics. From Alzheimer’s disease to Z-scores, from cognitive dissonance to mirror neurons. It is a resource for students, and for people who are interested in psychology and science in general. You can visit the Psychology Page website by clicking Here. Psychology Prof Online is a free educational resource that explains psychological disorders and DSM-IV-TR diagnostic criteria in language that is accessible to the layperson. Click Here To Visit Psychology Prof Online. Innovative website hosted and regularly updated by Dr. Gareth Furber aimed at reviewing the web for psychologists. Provides an extremely useful commentary of psychology relevant websites and applications. Click Here To Visit PsychSplash. Symptom Media’s expanding behavioral health film library is guided by the DSM-IV-TR, incorporating the symptoms into a concise video that promotes critical thinking and allows for discussion and analysis of symptoms.